TPO Cambodia councils women and girls suffering from the psychological consequences of abuse and violence, and helps them access justice. With this project, TPO aims to increase access to justice for female survivors of domestic violence and provide access to effective psychosocial services in order to form a functional and visible support structure/network in the community. 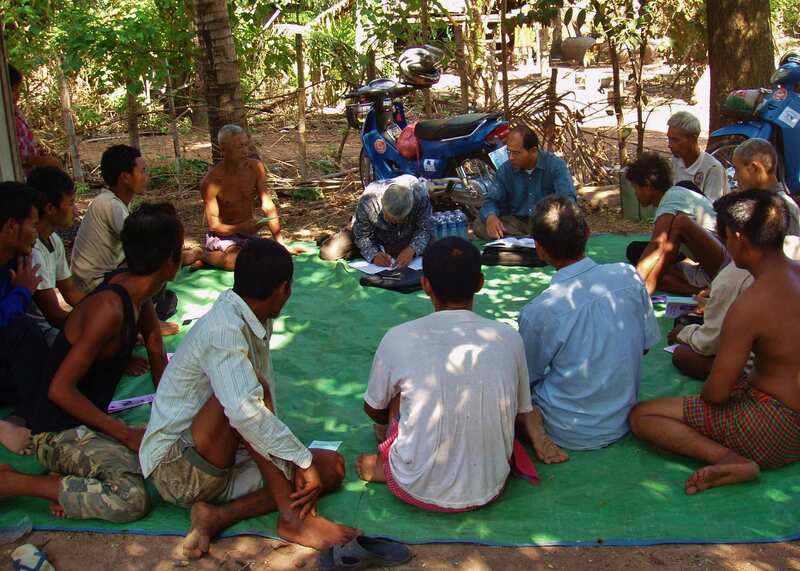 This project is implemented in Kampong Thom and Siem Reap provinces. TPO has field offices in both locations from where the project activities are run. The project was developed and is implemented in close cooperation with the Ministry of Women’s Affairs (MoWA), the Deutsche Gesellschaft für Internationale Zusammenarbeit (GIZ) and partner organizations. Mental Health Training by TPO for Community Resource People. TPO identifies and trains potential community resource people (CRP) in selected villages based on detailed selection criteria. CRPs are those persons villagers would naturally seek help from when facing problems. After training by TPO they will act as the front-line defense against gender-based violence in their communities and as the first port of call for their fellow villagers experiencing such issues. CPRs will also be enabled to establish community-based mechanisms to monitor gender-based violence. Community-wide information sessions as well as the dissemination of information, education and communication materials to the public will help improve villagers’ knowledge about gender-based violence and services available to them to help them. TPO establishes and facilitates self-help groups where women can express their feelings, build confidence, find effective ways to solve conflicts, and support each other. Self help-groups empower women and girls who are living with violence to understand more about themselves and their rights, and provide the opportunity to learn from each other and to experience mutual support. Further individual and family counseling will be provided to women and girls suffering from the psychological consequences of abuse and violence. 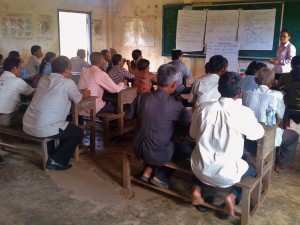 Self-Help Groups for men with mental health issues or who are abusing alcohol are part of TPO’s strategy for this project. In cooperation with CRP and partner organizations, TPO identifies victims of gender-based violence who suffer from severe mental health and physical problems for further treatment. TPO works closely with the mental health clinic in Kampong Thom and Siem Reap to refer victims of gender-based violence who suffer from severe psychiatric conditions. TPO’s counselors also work closely with the Department of Women’s Affairs (DoWA) and partner organizations, in particular CWCC, AFESIP, LICADHO and ADHOC, in order to refer victims of gender-based violence who are in need of further medical, social, legal or economic services. Mental health psycho-education in communities by TPO helps women overcome violence and abuse, and access justice.